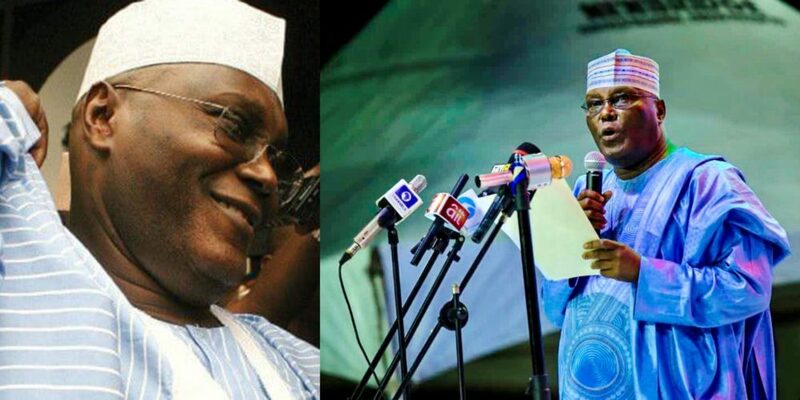 Former Vice President, Atiku Abubakar, has reacted after emerging the presidential candidate of the All Progressive Congress. 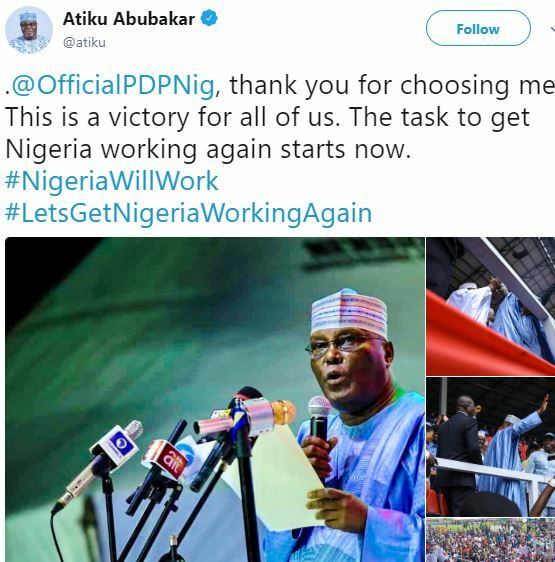 Following his victory at the presidential primary of the Peoples Democratic Party (PDP), former Vice-President Atiku Abubakar has thanked the party for choosing him to be its flag-bearer for the 2019 presidential election. 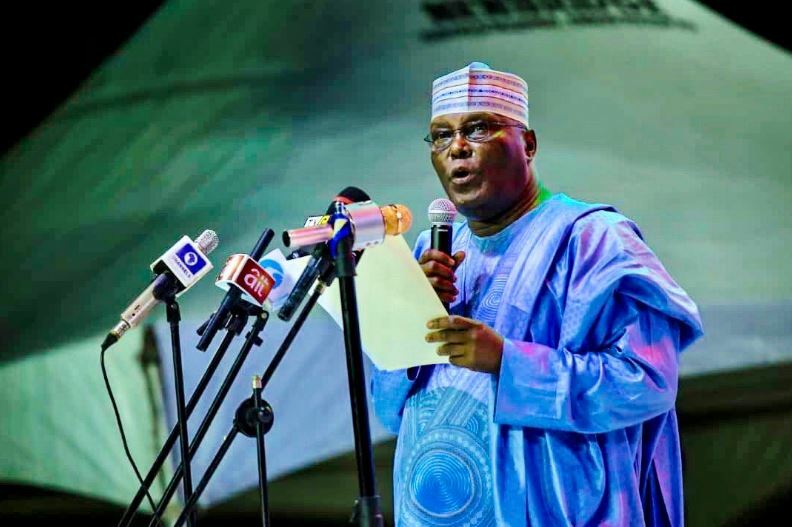 The national convention of the party, which began on Saturday,in Port Harcourt, Rivers State, and continued well into Sunday, saw Atiku eventually emerge winner, polling a total of 1,532 votes. 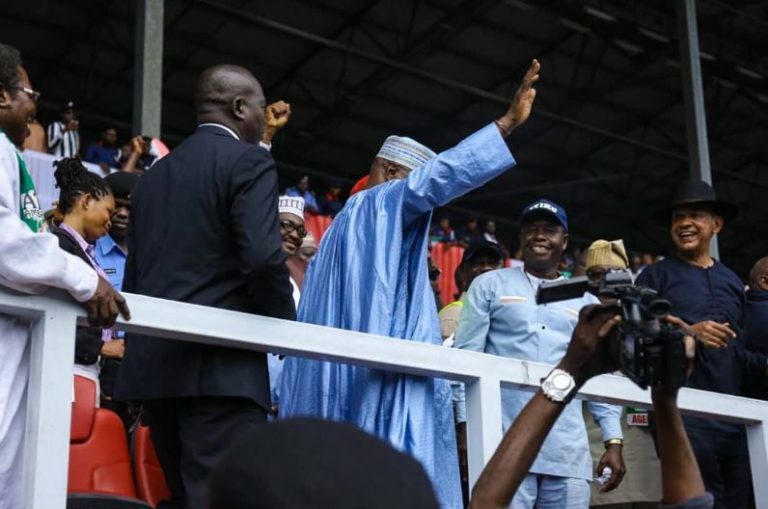 Atiku beat Aminu Tambuwal and Senate President Bukola Saraki, who scored 693 and 317 votes, respectively.